Sandra Zisckind is a lawyer and legal commentator based in Toronto, Ontario. 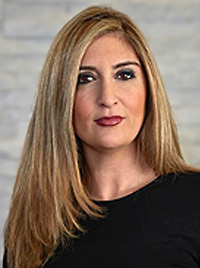 She is the managing partner of personal injury firm, Diamond and Diamond which has a total of seven offices across Ontario, including Barrie. The Diamond and Diamond name is synonymous with personal injury law in Toronto and is now proud to have a Barrie location to serve accident victims in the Barrie and greater Simcoe County areas. For over 30 years, Diamond and Diamond have been helping injured people and their families. The Barrie personal injury lawyers at Diamond and Diamond can be reached 24/7 at 1-800-567-HURT or locally, in Toronto/GTA at 416-850-7246. If you have been injured, don’t delay and call or email Sandra Zisckind today for a free, no obligation, consultation. We treat you with respect and compassion and provide you with practical, attentive advice particular to your situation. We can explain how the process works and what you should expect. We can protect your rights – Facilitate your recovery – And secure your future.